Sarah Nader- snader@shawmedia.com Officer Jeremy Morimer poses for a portrait at Woodstock North High School Friday, January 22, 2016. 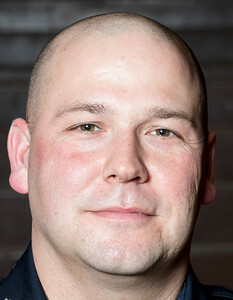 Morimer has been a Woodstock Police Officer since 2005. After serving five years in the Patrol Division he was assigned as the School Resource Officer. He splits his time between Woodstock North and Woodstock High School. 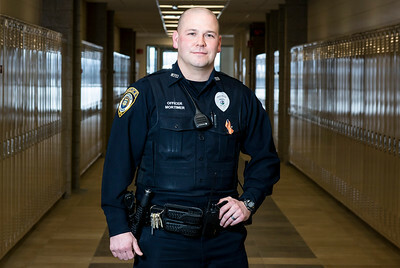 Officer Jeremy Morimer poses for a portrait at Woodstock North High School Friday, January 22, 2016. 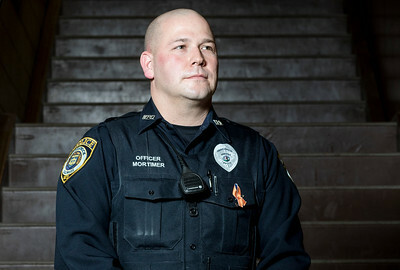 Morimer has been a Woodstock Police Officer since 2005. After serving five years in the Patrol Division he was assigned as the School Resource Officer. He splits his time between Woodstock North and Woodstock High School.